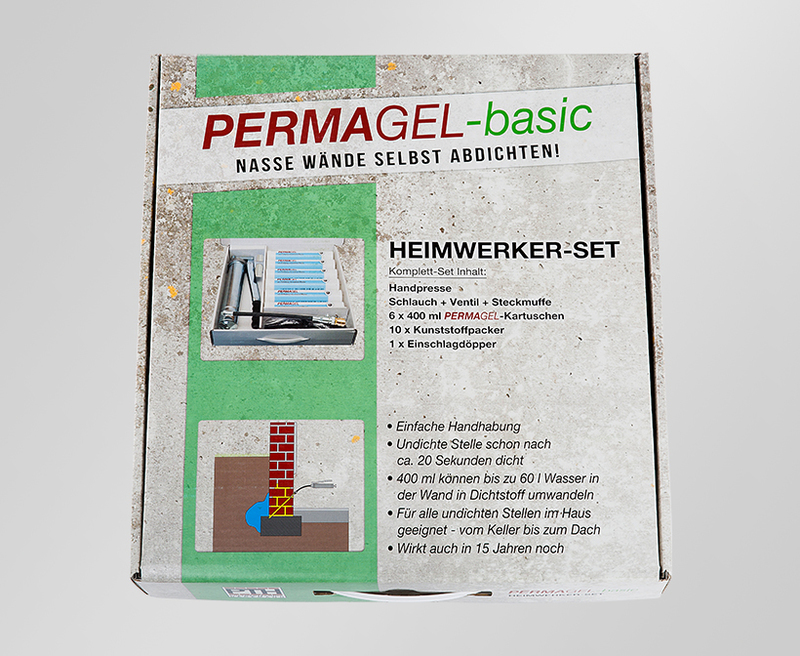 With the PERMAGEL DIY Set you eliminate smaller damp areas cheaply and easily. In your garage, in the basement, and even in your living room. 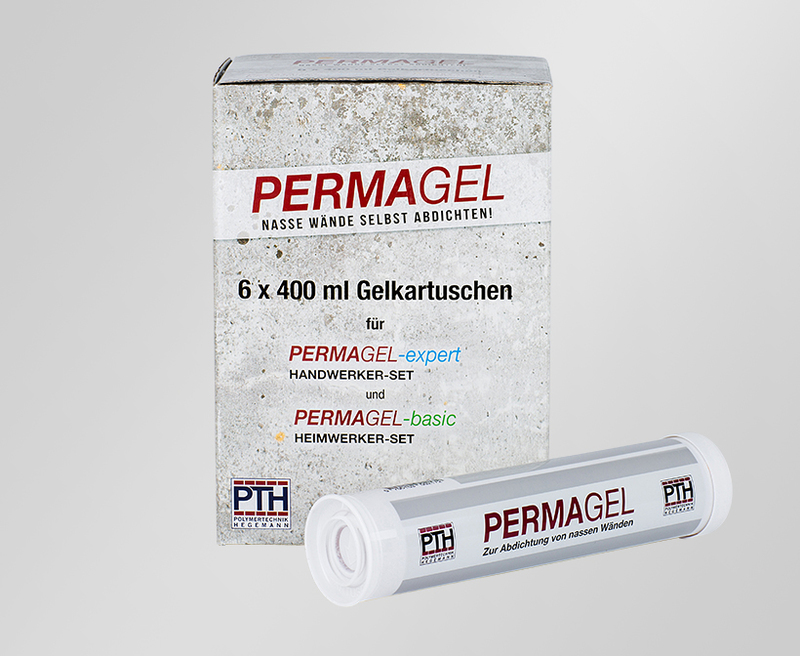 PERMAGEL is safe to use and harmless to health. 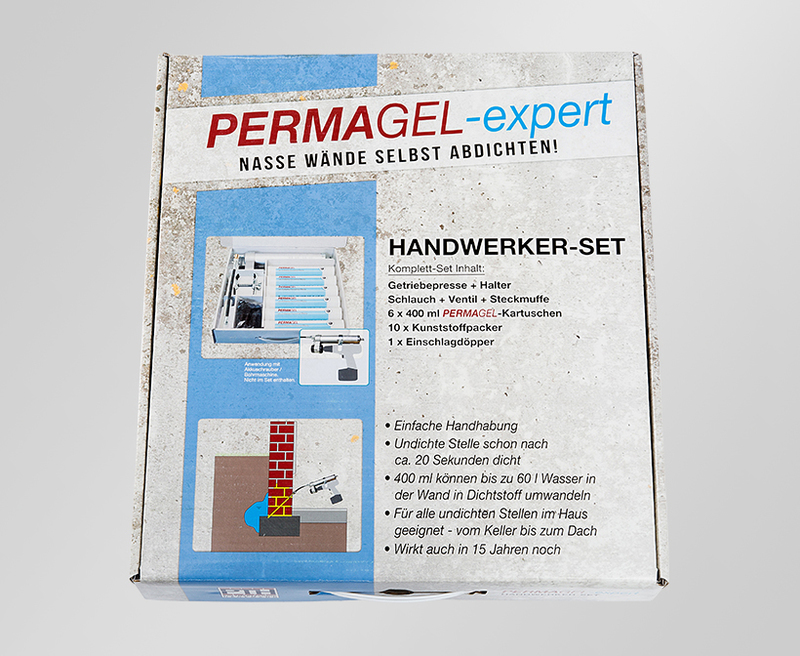 The PERMAGEL Craftsman Set is the right choice if you want to seal wet spots in your house fast and easily because here the drilling machine does all the pumping for you. 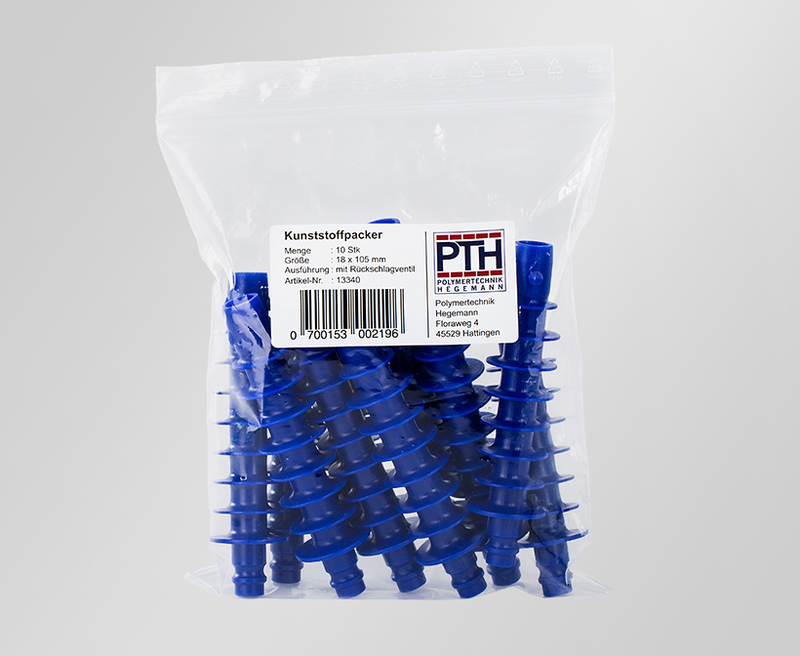 The proper addition for your PERMAGEL Do-It-Yourself or Craftsman Set when there is a greater number of damp areas in your house. When all the plastic packers from your PERMAGEL DIY or Craftsman Set are used up, this is the proper addition to eliminate further damp areas. 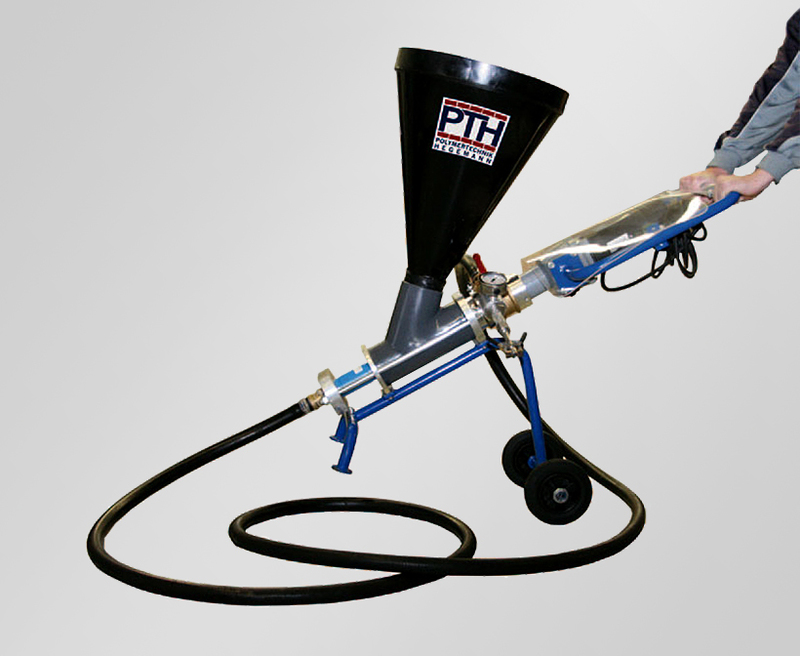 With our PERMAGEL Pro equipment we come to your house to eliminate large damp areas which would be hard to manage with the DIY or Craftsman Set. 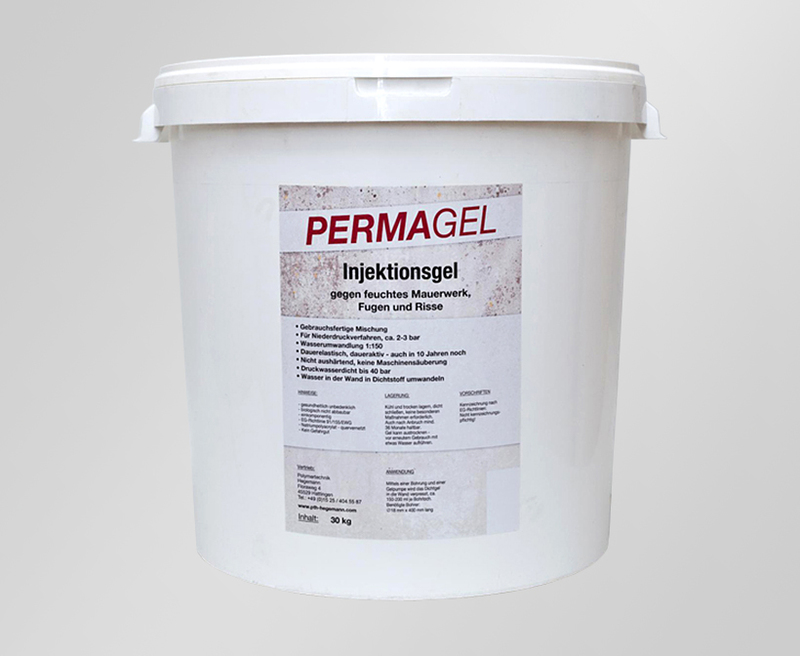 For large damp areas which are best eliminated using PERMAGEL Pro, gel in buckets is needed. 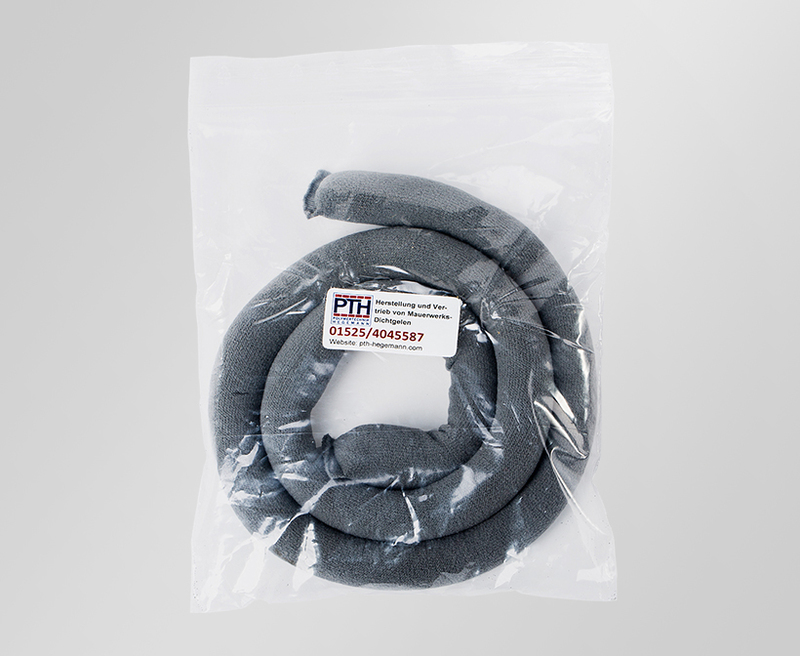 A super absorber to seal building elements which adapts to gaps of every form.